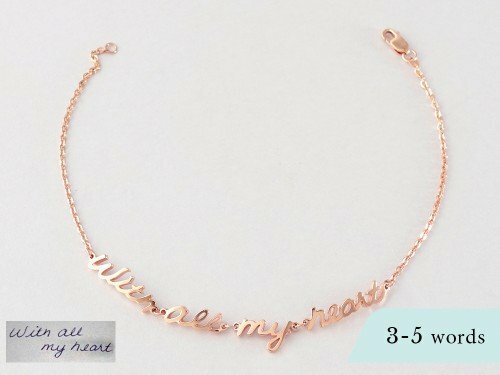 This stunning handwriting charm bracelet can be adorn with charms of your choice from heart charm, angel wing charms to birthstone charms. 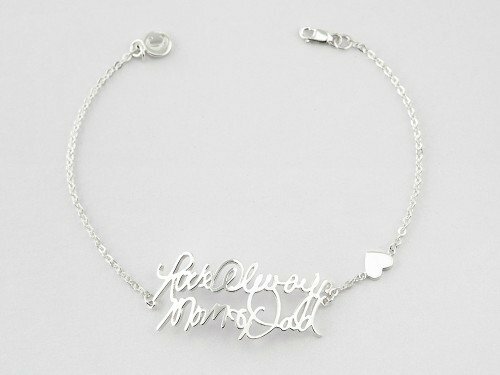 Simply snap a picture of a signature or phrase from an old card, and your loved ones' handwriting will be memorialized on an wearable remembrance piece that will bring tears to one's eyes! 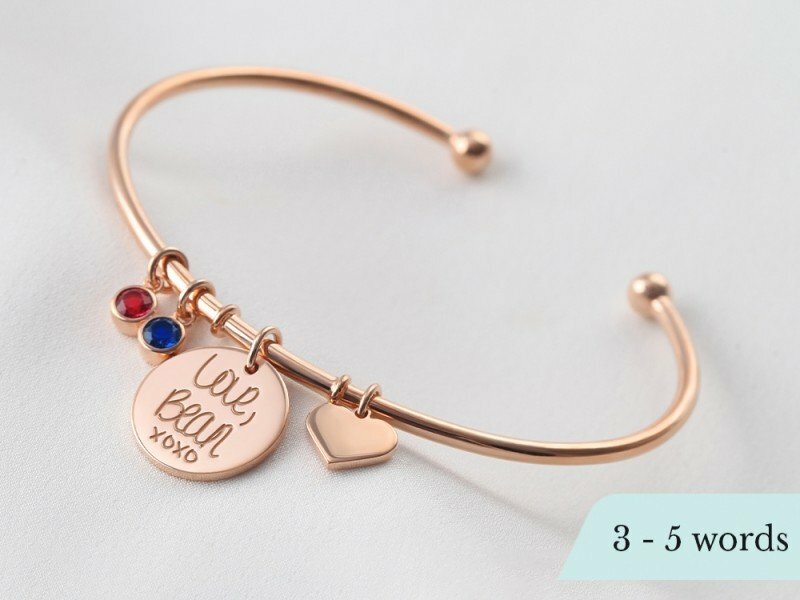 The adjustable design makes this a breeze to put on and to size to your wrist. 6Handwriting image 2 (if any): File uploaded!